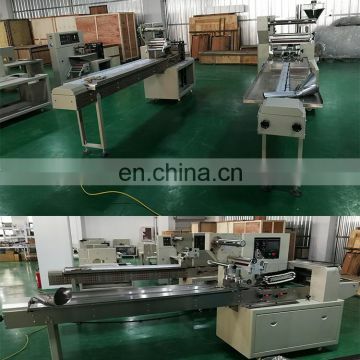 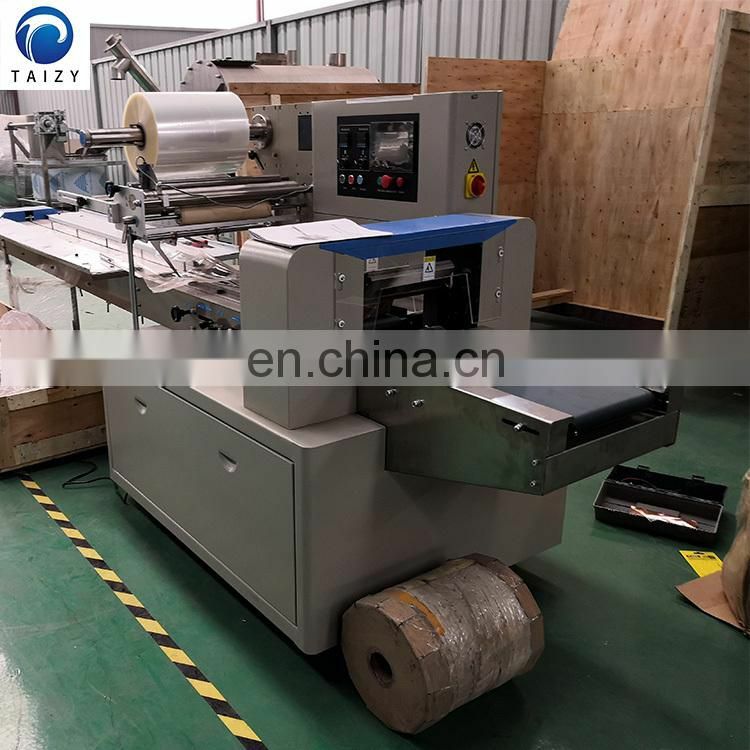 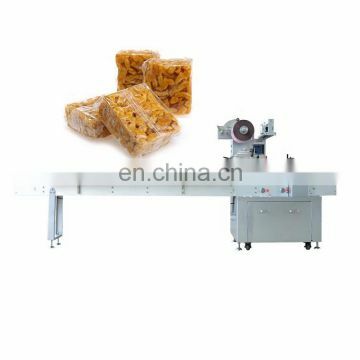 1) Pillow packaging machine is suitable for the packaging of various regular objects such as moon cake, rice cake, egg yolk pie, shaqima, chocolate, candy, bread, instant noodles, biscuits, medicines, daily necessities, industrial parts, paper boxes or trays. 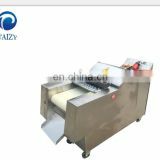 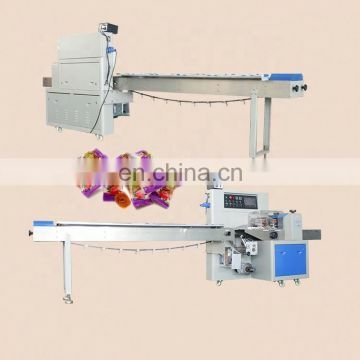 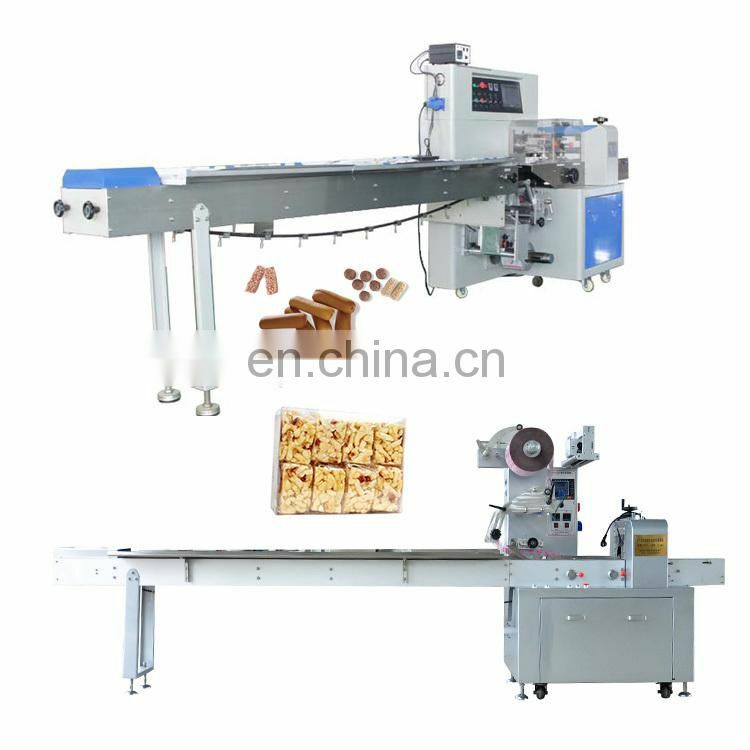 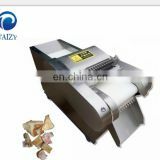 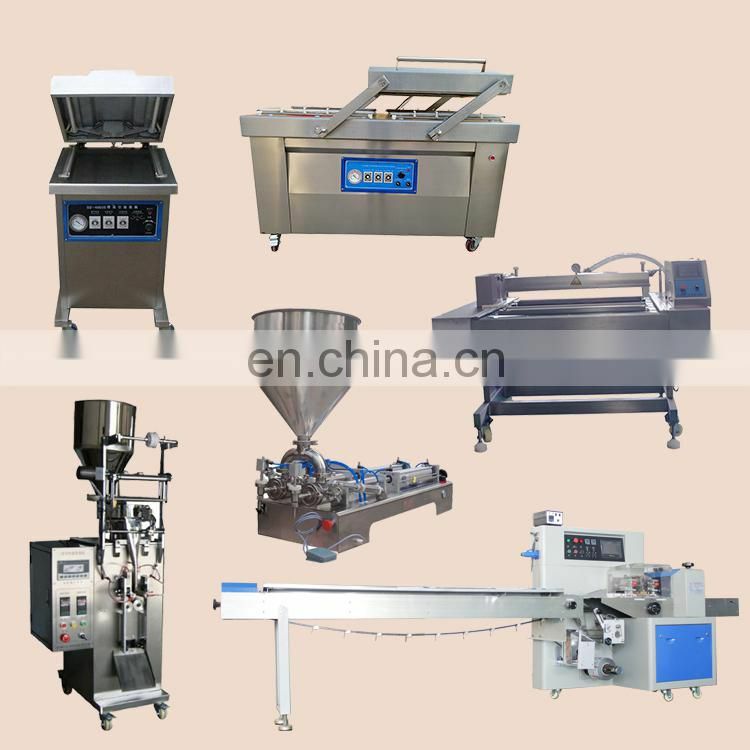 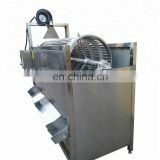 2) Pillow packing machine is also suitable for the packaging of soft, long strips and loose objects such as towels, single-piece wet wipes, noodles, egg rolls, sausages, squid, popsicles, biscuits and fresh fruits.It is especially suitable for single and multiple candied fruit packaging, such as: red dates, dried fruit and so on. 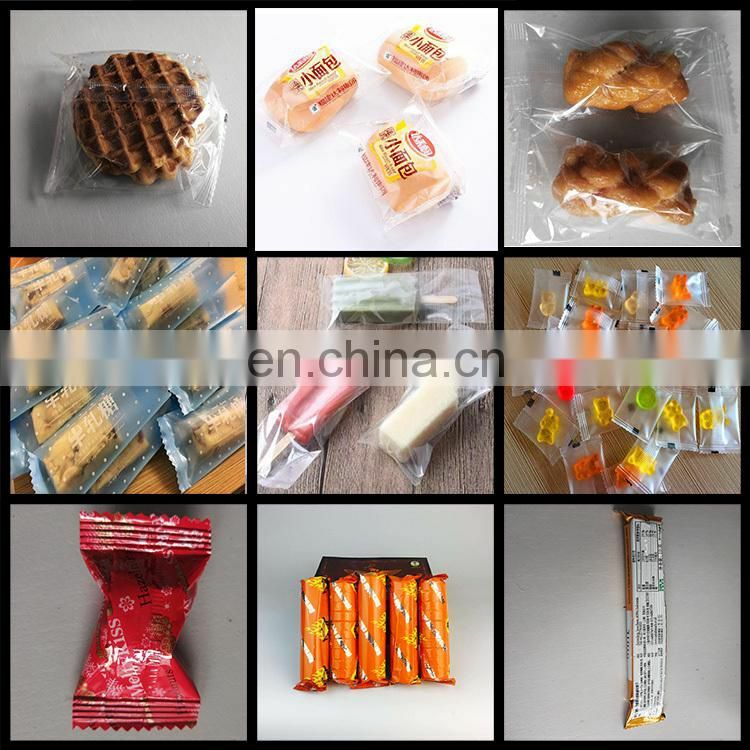 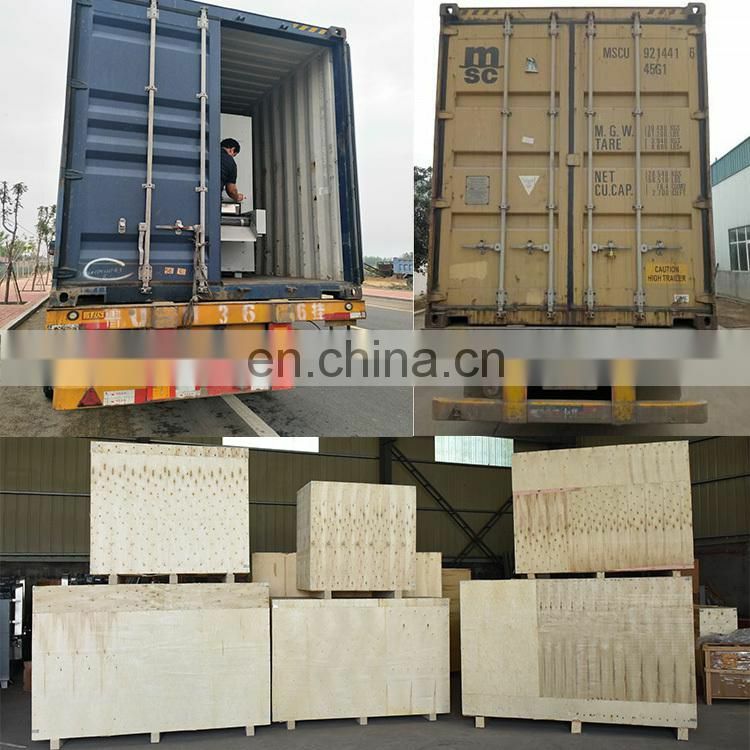 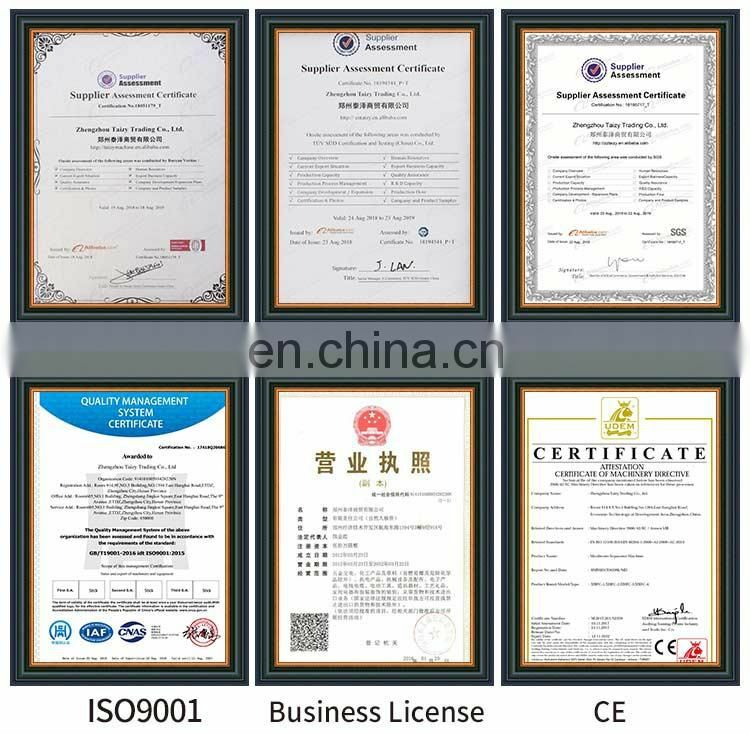 In addition, we can provide a variety of packaging machines: vertical packaging machine, pillow packaging machine, vacuum packaging machine, powder packaging machine, granule packaging machine, liquid packaging machine.If you are interested in our packaging machinery, please let us know your raw materials and the final packaging shape. 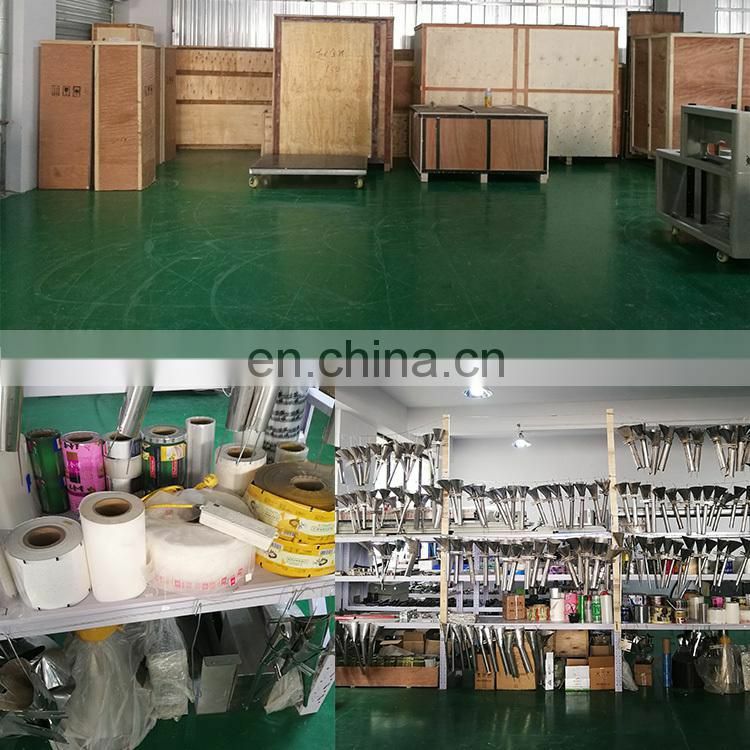 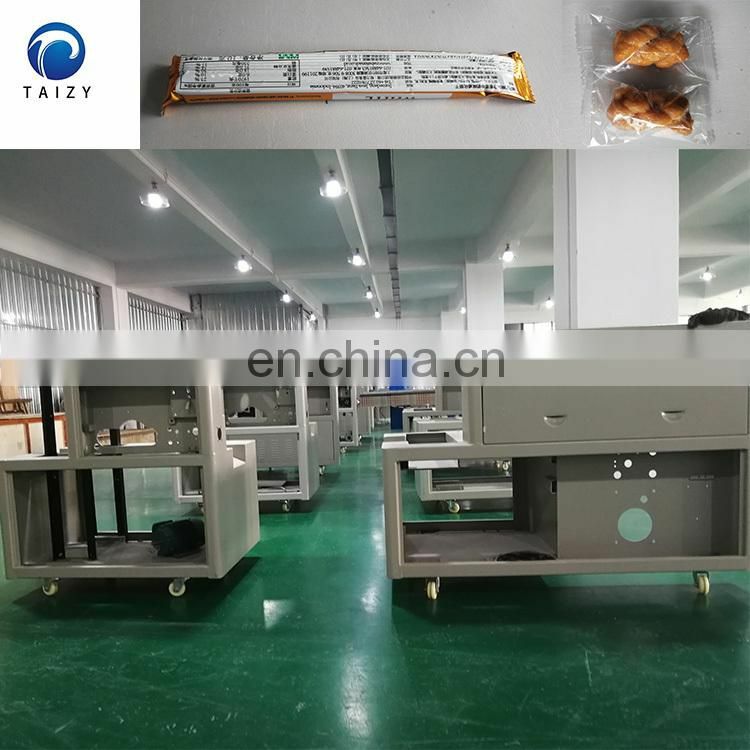 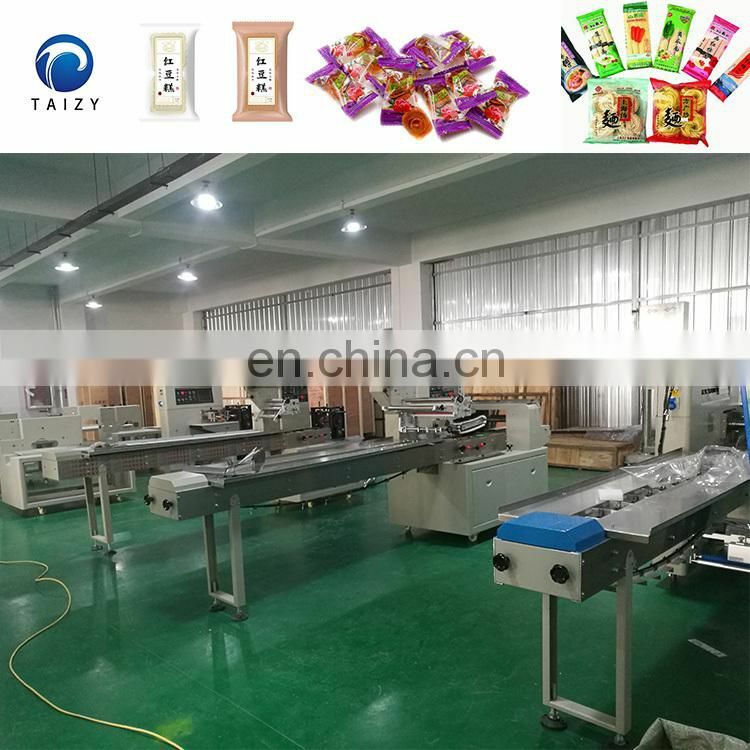 We will provide you the right packaging machine. 1, double inverter control, the bag length is set to cut. 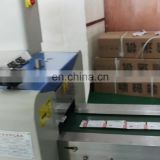 One step in place, saving time. 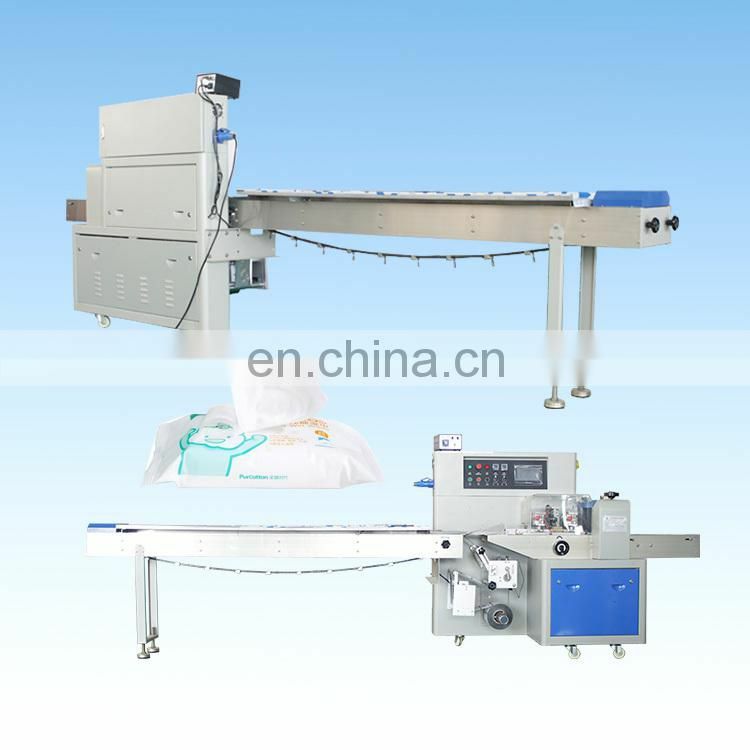 2,The screen interface parameters are convenient and quick to set. 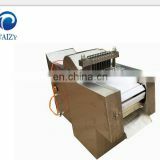 3, fault self-diagnosis function, fault display at a glance. 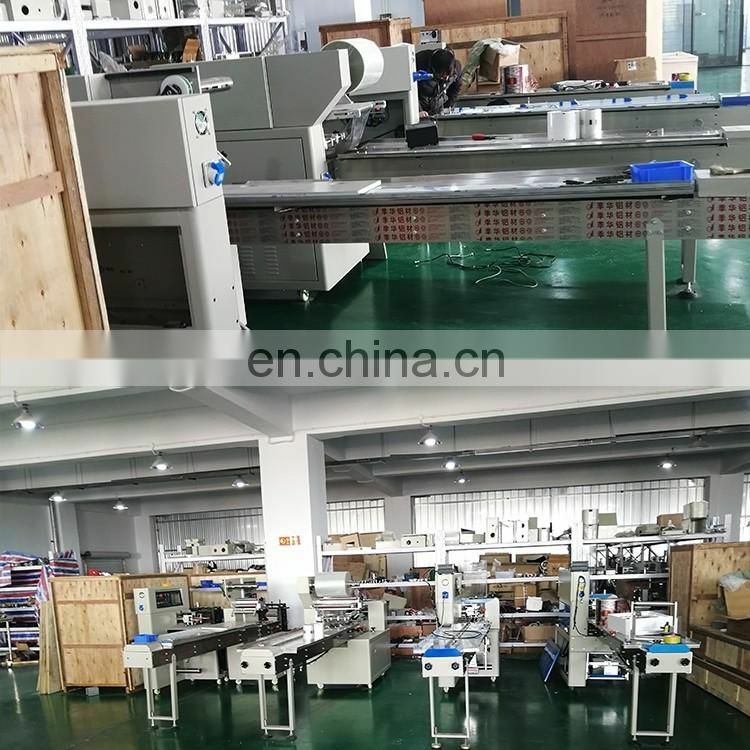 4, high-sensitivity photoelectric eye color tracking, digital input sealing and cutting position, making the sealing and cutting position more accurate. 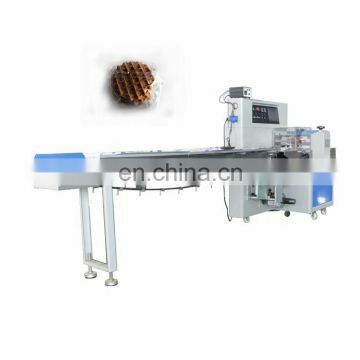 5, temperature independent PID control, better suited to a variety of packaging materials. 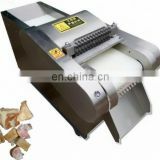 6, positioning stop function, no sticking knife, no waste envelope. 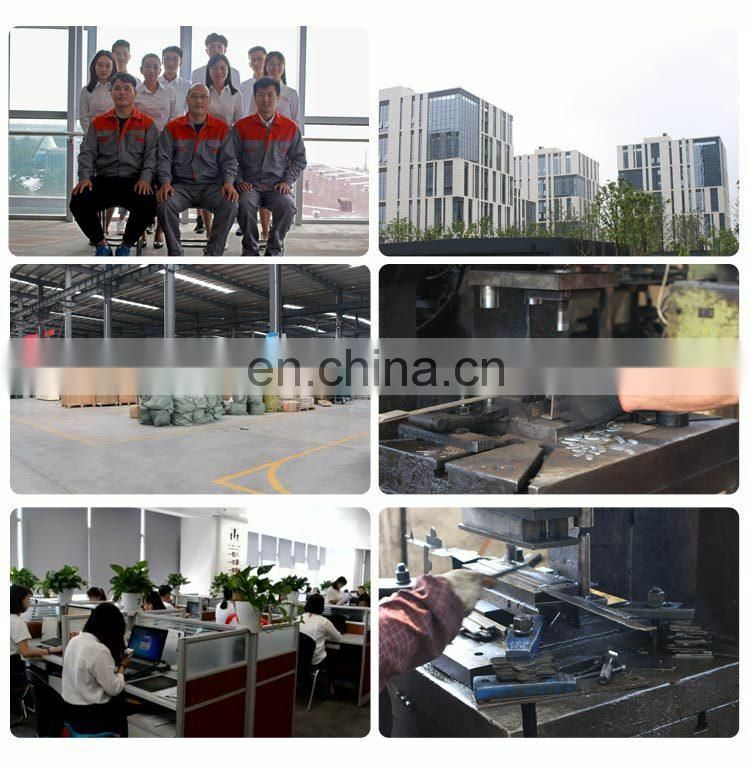 7,The transmission system is simple, the work is more reliable, and the maintenance is more convenient. 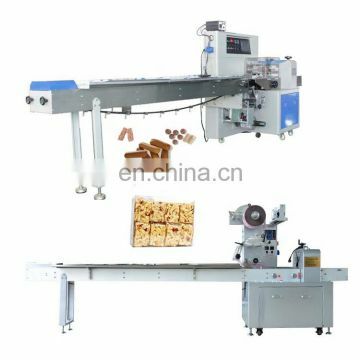 8,All control is realized by software, which is convenient for function adjustment and technical upgrade, and keeps advanced.